Apartments Petkov, Sofia - снимки, цени на стаи, карта, описание на услуги и удобства, телефони за връзка. Apartments Petkov enjoy a key location in Sofia, in near proximity to the Tsaritsa Yoanna University Hospital and within walking distance from the Zaimov Park, the Sofia University, the St Alexander Nevsky cathedral. These are two fully renovated, furnished and private apartments in Sofia, which are rented out on hotel basis at any time of the year. They are suitable for business and leisure travellers alike, and each has a maximum capacity of 2+2 guests. Every apartment consists of a bedroom for two people, a bathroom with shower and toilet, entrance hall and a living room with a dining area, kitchenette and a relax corner with a pull-out sofa-bed for two along with a TV set. The kitchenette is fitted with everything needed for self-catering: sink, refrigerator, aspirator, cooker, electric kettle. Both flats are centrally heated. The in-flat facilities include Wi-Fi internet, cable TV and one parking place in the yard of the residential building where the flats are located. The central location of Apartments Petkov in Sofia makes them a convenient choice for overnight and longer stays for everyone, who needs accommodation near the University Hospital, the Sofia University, the Alexander Nevsky Cathedral, the Zaimov Park. Within walking distance is located the metro station at the Sofia University, which provides quick and easy access no only to the ideal city center, but also to a number of business centers, shopping zones, attractions, the Central Railway and Bus station, the airport. 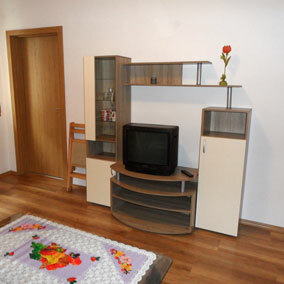 Apartments Petkov are located right next to the Tsaritsa Yoanna University Hospital in Sofia, on the Byalo More Street. Address: Center, 94 Vasil Levski Blvd. Address: Center, 88 Vasil Levski Blvd. Address: Center, 30 Dondukov Blvd.